Vitamins A, C, and D and zinc help support the immune system. Vitamins C and E provide antioxidant support and help neutralize free radicals. Vitamin D supports bone, teeth, muscle and immune health. 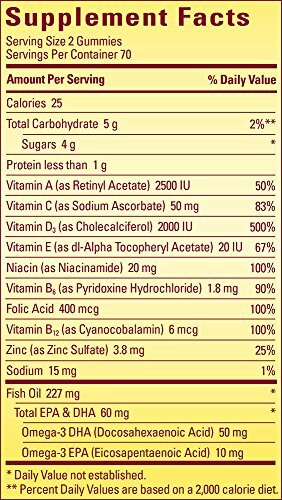 B vitamins support cellular energy production in the body. 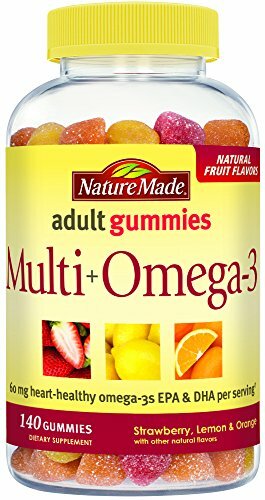 Nature Made Multi + Omega-3 Adult Gummies provide key nutrients your body needs daily plus 60 mg heart healthy EPA and DHA omega-3s per serving. They are perfect for adults who want a tastier, more pleasant way to take a multivitamin and EPA and DHA omega-3 fatty acids every day. Our Multivitamin + Omega-3 Adult Gummies come in delicious orange, lemon, and strawberry flavors. 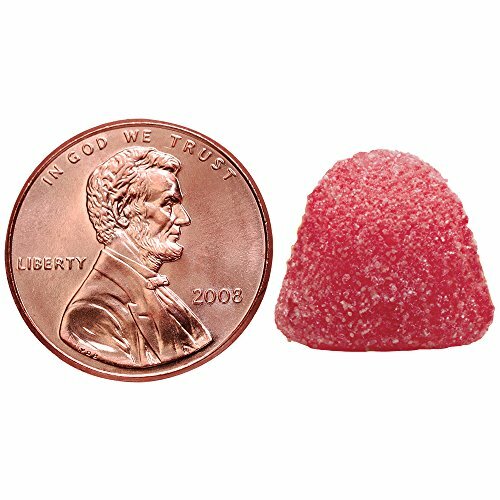 Not only do they taste good, but they help fill nutrient gaps and provide daily nutritional support.